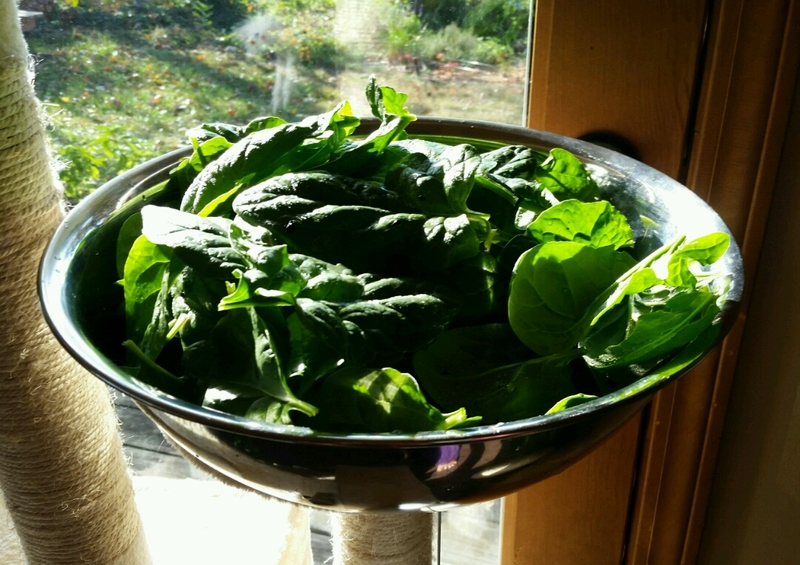 The amazingly long autumn weather was good for the spinach. Erin picked it this morning. Oh my. I have the worst case of spinach envy right now! What variety? CSA grows Bloomsdale - larger, thicker leaves. I like trying different varieties. My local CSA finds a winner, they grow it year after year. It is a business, after all. But I wish they had more variety. Last year they had all kinds of garlic in the fall, but I guess that was a one off. Not sure of variety, whatever was leftover at Lowes this season. Usually order from Bakers heirlooms, but forgot. Wish we had put in garlic but didn't get around to it, though with this odd weather might still have time. Yum. I want to do more late fall gardening, but I always forget to plant as the season goes on. Some years we do, some not. If/when the weather gets really cold we'll put a hoop house over the raised bed and hopefully have spinach till spring.